Chef's Table | The chef’s table at Rezaz is available for up to 12 guests nightly and menus can be coordinated to your personal tastes. Please call or email to reserve your place in the kitchen. 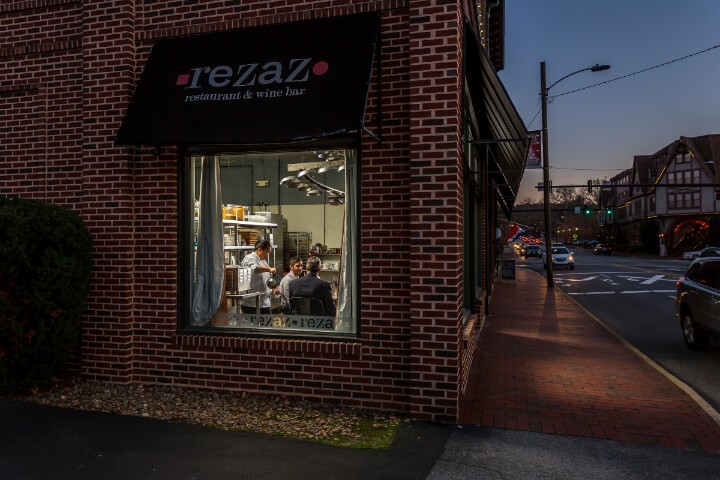 The Chef's Table here at Rezaz is available for up to 12 guests, nightly. Menus can be tailored to you and your guests personal tastes. Please call, or email, to reserve your place at the Chef's Table. Food has always been a family affair in Mediterranean kitchens. Being that chefs are often up early to browse produce at the markets, then spend their days preparing for the evenings when guests come to experience their cuisine, time with family is often limited. 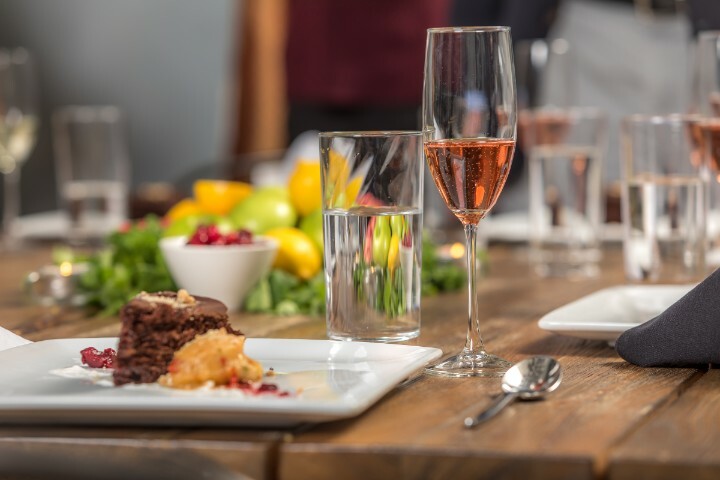 The history of the chef's table dates back centuries when spouses and children would have a family meal in the kitchen as food was being prepared for guests. In continuation of this tradition, we invite you to enjoy a 5 course tasting menu personally crafted to your tastes. 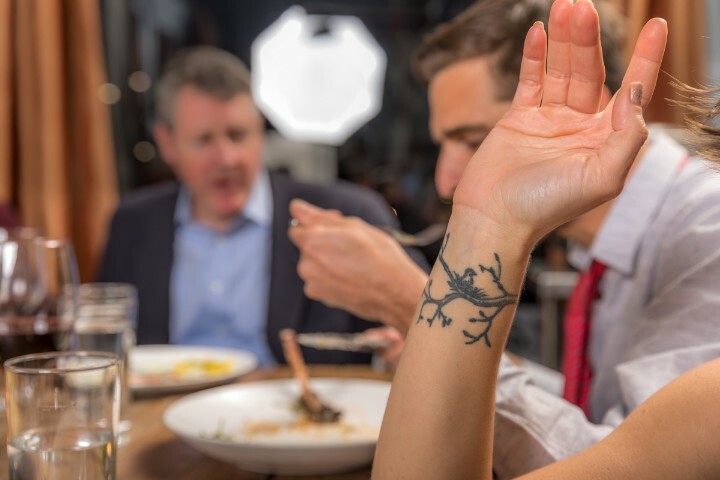 Sip wine and dine beside "the line" and under the "Pandelier," a magnificent metal sculpture created from the original sauté pans used during Rezaz first decade.